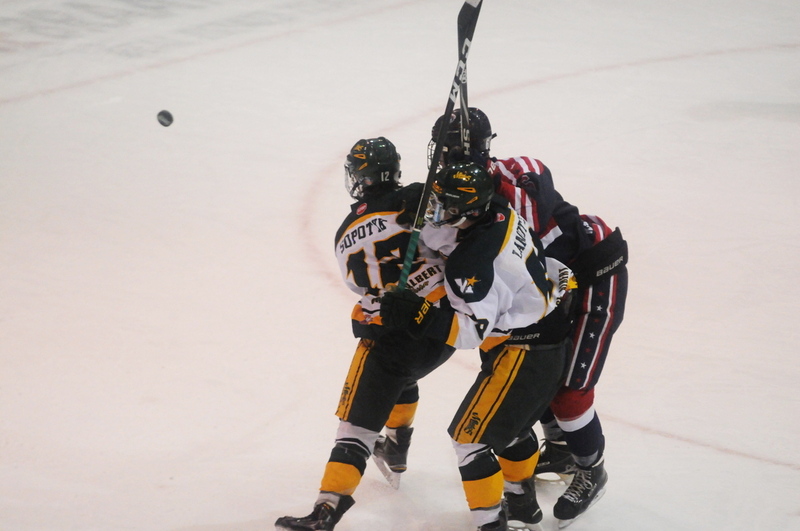 From the opening puck drop, the Prince Albert Mintos controlled the pace of play against the Tisdale Trojans tonight. Kyrell Sopotyk was a menace with and without the puck, tallying two goals on the man advantage, both coming courtesy of Cael Zimmerman on a slick, tic-tac-toe passing play. The green and yellow couldn’t have dreamt of a better start to the second half of the season, scoring three unanswered in the first period. Layne Matechuk kicked off the scoring spree before Sopotyk chipped in with his 17th and 18th of the campaign. The man advantage unit finished two for four on the night. “We’ve been working on it a lot, the 1-3-1 [formation], and guys are starting to get a better feel of how it works and where guys are supposed to be,” Morrison said. Tisdale was able to get a power play marker of their own in the second period from Elliot Grande-Sherbert, but the clean passing of Logan Barlage provided the dagger. The offensive powerhouse was able to feed Mitchell Girolami, allowing the pair of Humboldt products to connect for a three-goal advantage. Tye Morin was on his game tonight stopping 27 shots in the win. Prince Albert now has four consecutive games at home and are looking to take advantage of the Art Hauser Centre ice as the Moose Jaw Generals come to town this Saturday.